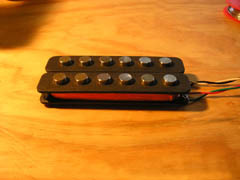 Building our own pickups gives us an edge over our competitors. Need a special string spacing? You’re after a 9 string bass pickup? We can build it. Other builders need to outsource these at a cost that must be passed on to the customer. We keep our instruments at very competitive prices by being able to make those in-house. 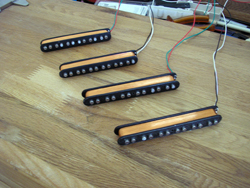 If you prefer to use a different brand, we offer Nordstrand pickups as an option at very competitive prices.